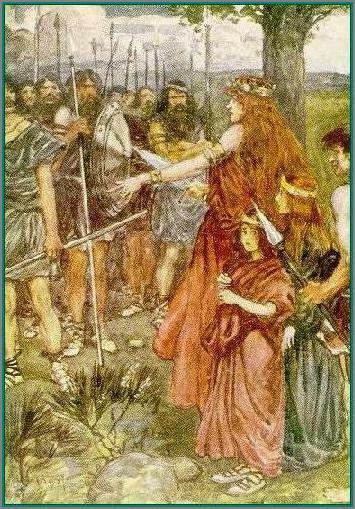 Boudicca was a striking woman: tall enough to look a warrior in the eyes, with russet hair tumbling to her waist and a voice that rang out like a bugle call. She was married to the king of the Iceni, but she was of royal blood, a queen in her own right. Her name means ‘Victorious’ and she was revered as both a leader and a priestess. Boudicca was a young girl when the Roman legions arrived in Britain. The invaders demanded that the Celts pay tribute tax: their leaders demurred, negotiated, and eventually agreed on a treaty of celsine, a patron-protector relationship. 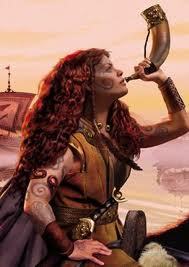 When her husband died, Boudicca became leader of the Iceni people. The Romans took this opportunity to declare Iceni territory their own. They used the usual brutal methods to deal with women and savages. Boudicca was whipped and her daughters ravished. But Boudicca was a true queen, and she was not prepared to accept such treatment of her people. 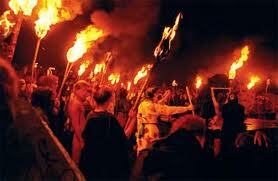 May Day was the Celtic festival of Beltaine, the Shining Fire. It was a time for the extended clan to assemble for celebration and conference. On this day, livestock were driven through clouds of smoke to purify them for summer pasture. Boudicca, priestess and queen, invoked the power of fire for a different reason. On 1st May 60AD, she led the Iceni in revolt. Dismayed by decades of Roman oppression, other Celtic tribes rallied to her cause. They destroyed Camulodunon (Colchester), captured Londinium and marched on Verulamium (St Albans) amidst scenes of great rejoicing. The Celts were fearsome warriors: they fought naked apart from a torc (neck ring) and woad tattoos, their hair stiffened with lime into tall spikes. Celtic women were reknowned as even more skilled swordfighters than their menfolk. 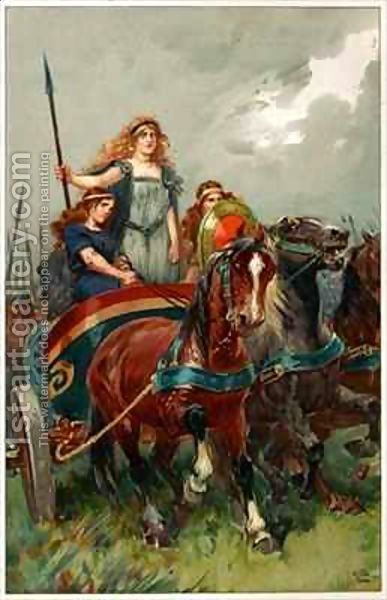 Boudicca led her people into battle riding in a light chariot, her daughters by her side. The Romans were outnumbered, but their military discipline was superb. The legions rallied and in a final confrontation the Celts were routed. Boudicca and her daughters were never found: some say they took poison to avoid capture. She may have been beaten, but Boudicca was never forgotten. She is honoured as a Great Mother, a woman who rose against adversity and defied death to protect her children. There is a statue to her on Embankment, near the Houses of Parliament in London. It shows a figure reminiscent of Britannia. 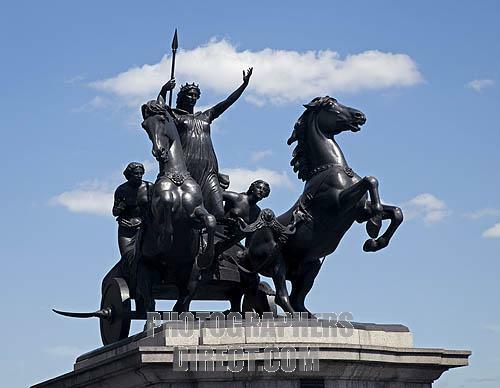 Boudicca was arguably the first great British queen. How much of our image of Boudicca is true? The Celts kept no written records, and the Romans had a vested interest in recording facts from their own perspective. The Roman Tacitus was a contemporary recorder, but his terse style of writing gives us the word ‘taciturn’ so we learn little from him. Another historian Dio mentions her, but he was writing nearly 200 years later. So we have to use our imaginations a little, our empathy a lot, to keep alive the memory of this glorious woman: fighting like a lioness protecting her cubs, with her mane of long tawny hair. More stories in ‘LifeWorks‘ by Jane Bailey Bain. Visit Jane’s Author Page and follow her on Twitter @janebaileybain. If you like this post, use the buttons below to Share on Facebook, Twitter or Stumbleupon. This entry was posted in History, Mythology and tagged Beltaine, Beltane, Belteine, Boadicea, Boudicca, Britannia, Celtic, Celts, Iceni, May Day, Roman, Tacitus, Thatcher. Bookmark the permalink.